Few controversies are more damaging and distressing for an employee than discrimination from an employer. Unfortunately, taking an employer to court can be very expensive. 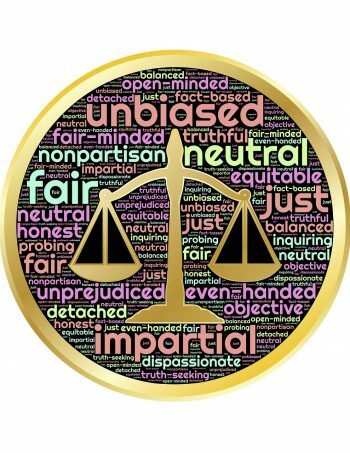 Employees who file a complaint to the Equal Employment Opportunity Commission (EEOC) or the Arizona Civil Rights Division have better outcomes when they get mediation representation to settle civil rights violation claims. Mediation is neutral, but mediation representation strengthens an employee’s case. Full-blown litigation can get very expensive, particularly for employees. In addition, it is difficult if not impossible to stop litigation once it has begun. Each step of the litigation process snowballs into the next, raising the stakes for both sides. Employees need a strategy that minimizes the stress and dissatisfaction that led to a discrimination complaint. More parties are turning to mediation to settle wrongful termination or discrimination charges, partly because more charges are filed than ever before. Mediation saves both parties significant costs, including attorney and court fees and other expenses. It also offers a confidential resolution—sparing one or both parties unwanted publicity— and is less stressful on employees in particular. Mediation also gives parties more control over the outcome of a case, rather than leaving it up to a judge, hearing officer, or arbitrator. So what is mediation? It is a voluntary, confidential process that helps parties resolve their differences without costly litigation or lengthy investigation. Both the EEOC and the Arizona Civil Rights Division will offer mediation to both sides after investigating a Charge of Discrimination. Neither side can compel the other to accept. The appeal for both, though, is that unlike a legal case in court, neither side can be order to do anything. The mediator, who is a trained, neutral third party, works to help both sides explore and evaluate settlement options for an agreement. Mediation settings are more conducive for identifying and clarifying issues, clearing up miscommunications, and crafting a solution with the significant input of both parties. Although mediation appears informal, preparing for it requires significant planning and preparation. Even a solid Charge of Discrimination needs supporting facts, witnesses, and documents to strengthen an employee’s case against an employer. This is where employment attorneys can make a huge difference for employees preparing for mediation. Entering mediation with a solid case backed by strong evidence often encourages employers to settle a case more favorably for the employee. An experienced employment attorney can also help you determine an appropriate settlement request. It undermines your case and your credibility to ask for, say, half a million dollars when the particular law that applies to your case allows you to recover a lesser amount. Most employees need help to develop an effective “offer and concession” negotiating strategy. Mediation is often the best choice for employees seeking relief from discrimination. While it can’t prevent disputes from arising, it can resolve them in a way that is fast, efficient, and satisfactory for everyone involved. If you have any kind of legal claim against your employer or a mediation scheduled before the EEOC or the Arizona Civil Rights Division, contact our office for a consultation.